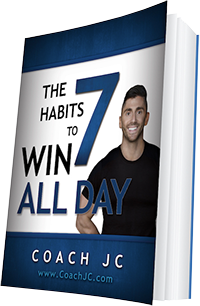 Today’s WINNING recipe to meet Coach JC’s 10 WINNING Habits is Asian Slaw. Where are my veggies? Add chicken to get your lean protein! 1. Combine the dressing ingredients in a sealed jar and shake until combined. Chill in the frig while making the rest of the salad. 2. Toast the almonds at 350 degrees for about 5 – 10 minutes until lightly browned. 3. 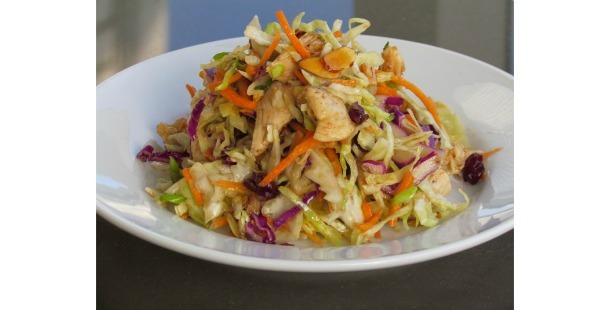 Approximately 30 minutes before serving, combine the slaw ingredients and then toss with part of the dressing. Taste and then add more dressing, as needed. *Cooking Note: To add extra flavor to the chicken, double the dressing recipe above and use it as a marinade for the chicken ahead of time. Marinate the chicken for at least an hour before grilling. Just be sure to dispose of the marinade after using to avoid contamination.